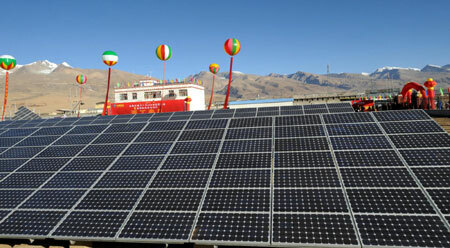 LHASA - China's Tibet Autonomous Region Friday started building a solar power plant with an aim to ease power supply shortages in an environmentally friendly way. The 10-megawatt solar photovoltaic generation project in Yangbajing, about 90 km northwest to Lhasa, Tibet's capital, will be completed in 10 months, sole investor China Long Yuan Power Group said. Long Yuan Power is a main subsidiary of China Guodian Corp., one of China's five major power companies. Zhang Xi, general manager of Long Yuan Tibet New Energy Co., said the plant would help ease power shortages in central Tibet as it was expected to generate 430 million kwh of electricity during its 25-year life span. 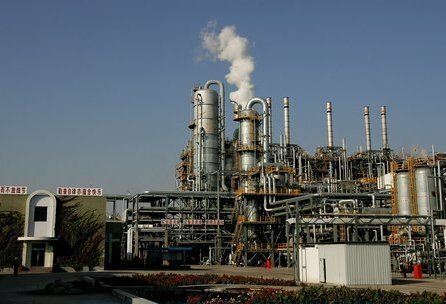 The clean energy project costing about 220 million yuan (32.2 million US dollars) will help save 150,500 tonnes of coal and reduce carbon dioxide emissions by 400,000 tonnes and sulfur dioxide emissions by 1,850 tonnes during the plant's life span. Long Yuan Power also began the construction of a 1-megawatt geothermal power plant in Yangbajing township on Friday. It will invest an estimated 13 million yuan and finish building it in five months. The high-altitude region in southwest China has more than 1 gigawatt of potential geothermal power resources for power generation, ranking the first among all regions in China. Tibet started building its first geothermal plant in Yangbajing in 1975. Today the plant has an installed power generation capacity of 24 megawatts, and generates 100 million kwh of electricity per year. Increasing the number of solar and geothermal power plants in Tibet will help to conserve the region's fragile environment, as more local residents can have access to clean energy rather than having to rely on burning coal or firewood, Zhang said. About 27 percent of Tibet's 2.9 million population still are without electricity, according to the local power grid company.